It is with much sadness and regret that I have decided to part out my daily driver 200D. It's been a great car to drive and I have gotten good use from it. Unfortunately, it is too rusty for me to justify repairing any further. 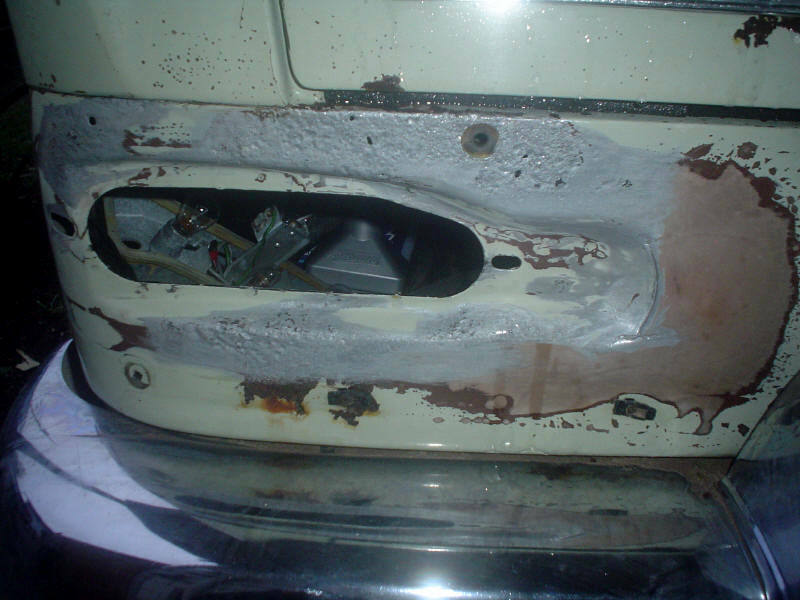 I discovered the other day that at one time it was rear-ended and the rear bumper pushed into the body with the overriders crushed into the rear panel. It was pulled and straightened, but then filled with too much body filler. I found this out when I was fitting my newly-purchased taillights and saw that they didn't quite fit because there was too much filler on the inside corners. I was able to pry out a large chunk of filler. I've spent hours working on filling in the rust holes with POR products so I could get a good sealing surface for the taillights, but it's taking a while. I have to look at it this way; if the only thing the car needed to be perfect was the $1,300 windshield, door, and trunk weatherstripping, would I be willing to spend it? No, not when I could be putting that money toward my 300SD. 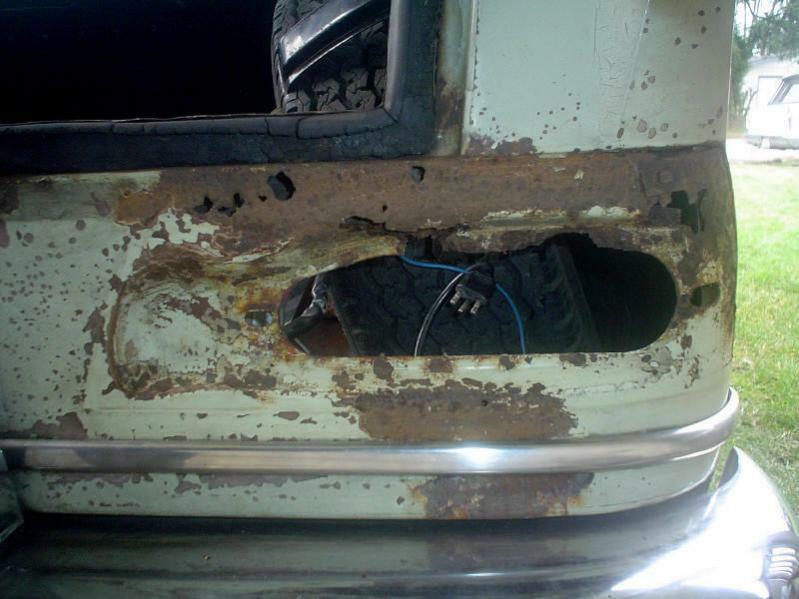 But then I also have rusted out rocker panels, floors, trunk, and firewall to deal with, which would take countless hours even if I was to do a band-aid repair. 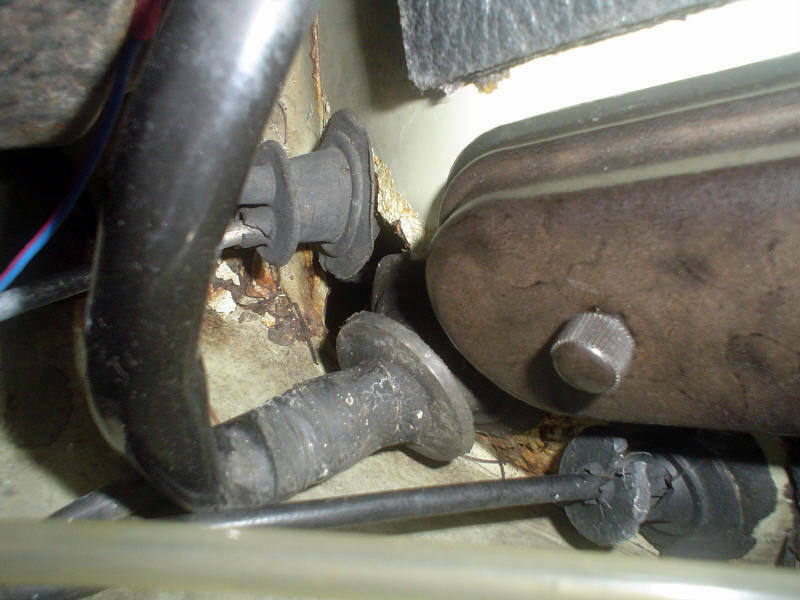 I also have to take into consideration that the engine has to come out to have the oil leaks fixed (at the very least). The car is very solid and reliable mechanically. I wouldn't hesitate to drive it across the USA. I've already driven it across 4 states. The interior is in amazing condition (including dashboard and headliner), and most parts are in excellent condition. Still, I would only be able to sell it for $1,000 at best. Why sell it for $1,000 when that's less than I paid for it, then there's the thousands of dollars in parts and countless hours of labor. I figure there's at least $3,000 in parts, so I might as well part it out and let the parts live on in someone else's cars. Then that money can help fund my 300SD, maybe even get it painted. I will probably post everything on eBay because I struggle to make ends meet and hopefully I'll be able to get top dollar (I don't plan on gouging anyone, but I usually give things away too cheaply when I really can't afford to). Sorry to hear of your decision. 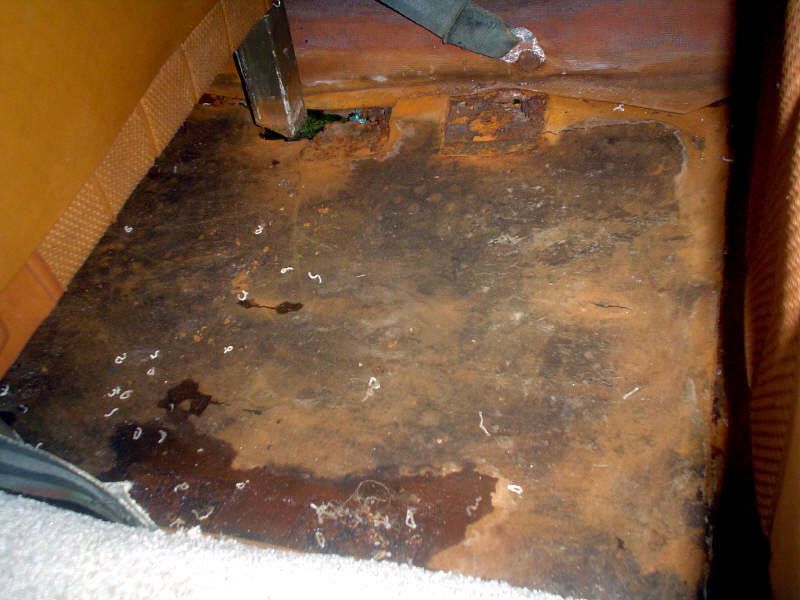 You are not the first person to buy a car and find out it is in worse shape than expected, or that previous owners have covered up major damage. 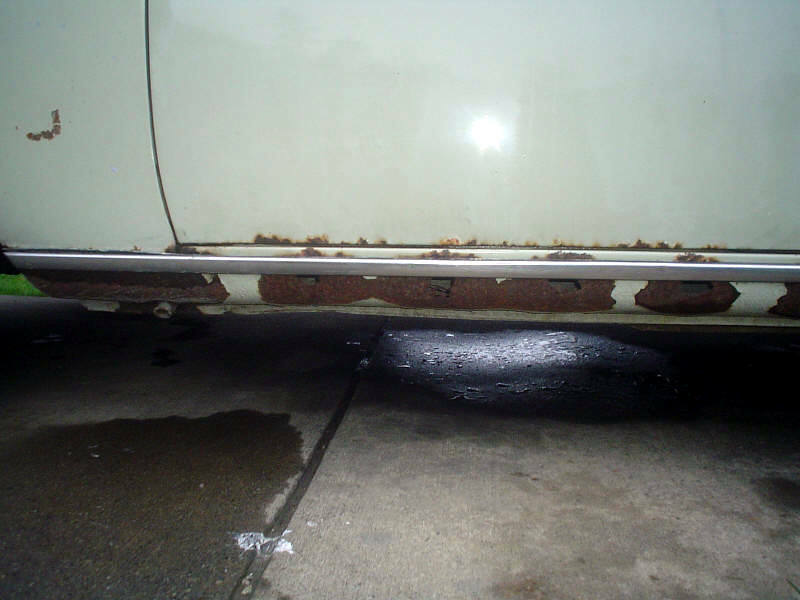 Unfortunately these cars are very prone to rust as you have found out. Sometimes you don't know how much rust there is until you start poking around, then the extent of the damage grows exponentially. 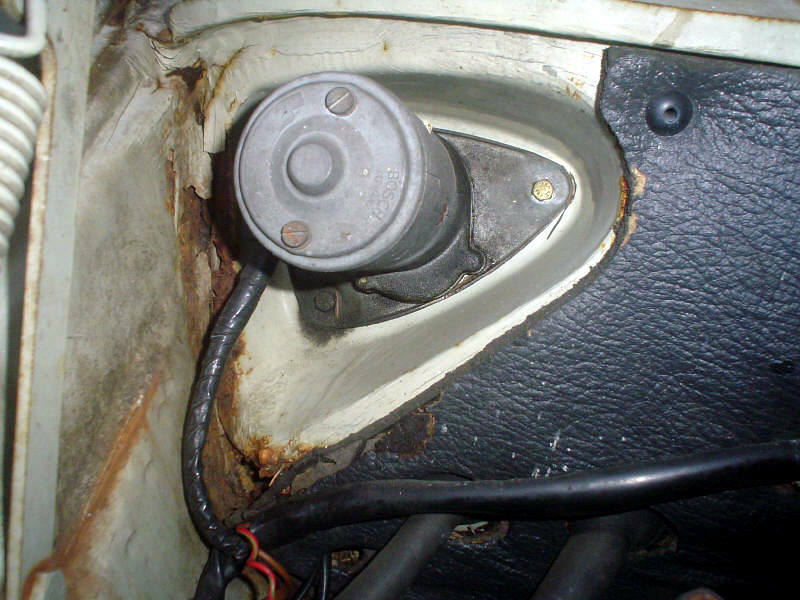 The is one reason people get more $$$ into a restored car than they are worth. Sounds like with some touch-up it would still make a good driver, just too far gone to restore. If it were closer to me I would be interested in it, but unfortunately you are way too far from me. Hopefully you can find someone who will drive it rather than part it out. I know I could make more money parting it out, but then there is the hassle of pulling parts and shipping. I want to just be done with it. I might just finish the taillight mounting area and throw it back up on eBay. I wish I could trade it to an autobody guy who would fix the body and then do bodywork and paint on my 300SD. In any case, I still have to drive the car to work, so the parting process wouldn't begin for a while. If i were you I would attempt to sell it at least one more time. The car can be saved if someone buys it that has the time and money to put into it... I personally dont think its to far gone just yet... It would be a shame to see another old W111 be put out in the junkyard, they are getting harder and harder to find these days as we all know. ....and fill with Zerex G-05 coolant. .
Maybe your car is different.. I have no manuals for that early a car..
but on ALL THE OTHERS ... 615, 616, 617.. 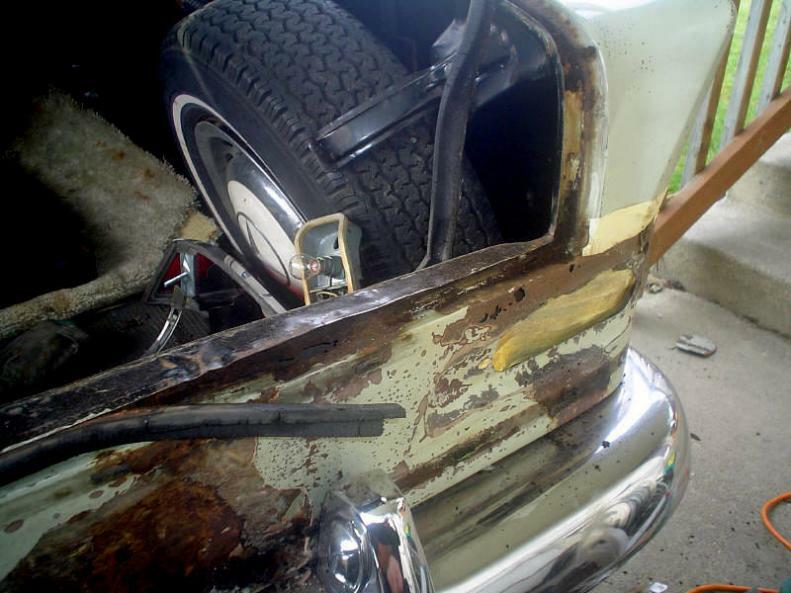 I agree with your decision to let it go... that is just too much rust unless a person has an enclosed garage, a backup car to drive, and lots of time and money to throw at it..
as to sell whole or part out... I have no opinion. This is true, it can be saved. And even driven daily during the process! 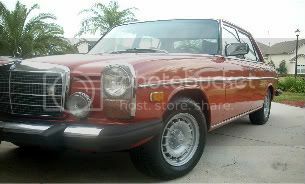 For me, I can't justify putting in all of the time to repair the rust and pay for new weatherstripping, but maybe a new owner would. I might try one last time. I use 50/50. That's what I meant. No way I would use straight coolant in there! The jack mounts are solid. I lift from them all of the time. 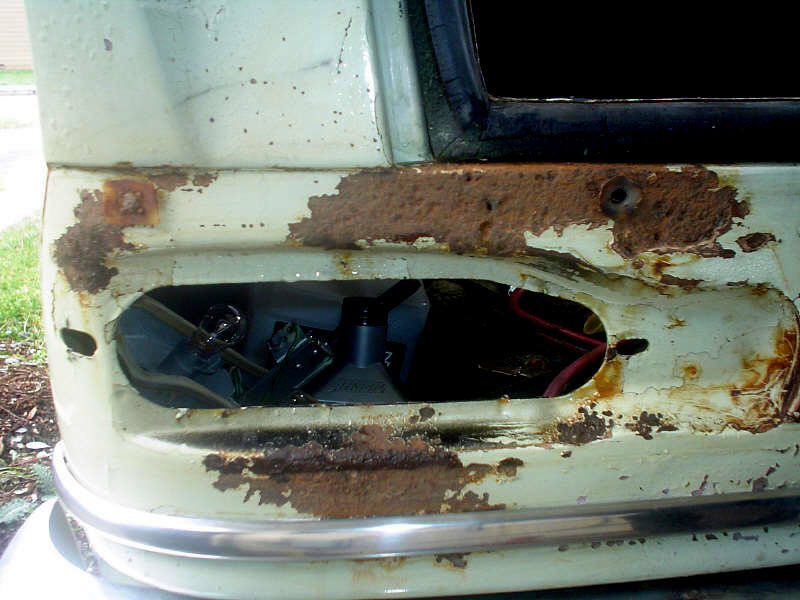 The rust is not structural. 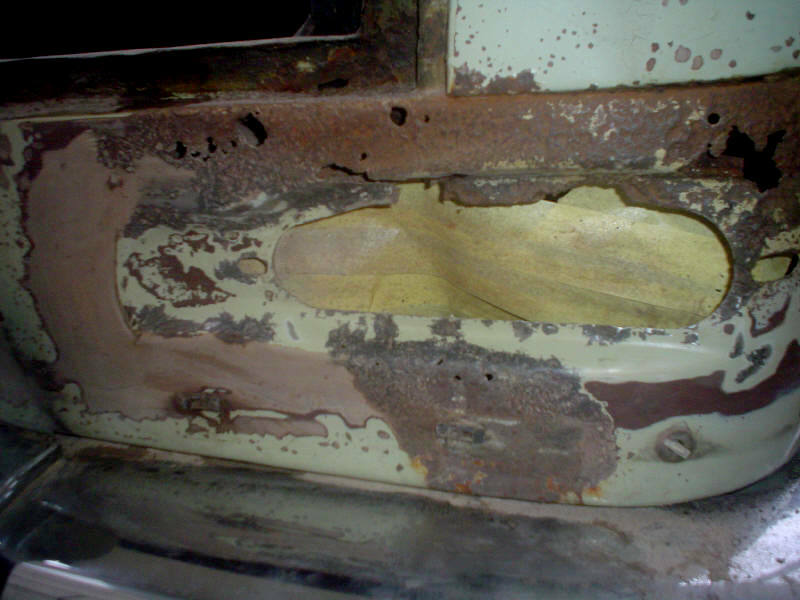 The rocker panel rusted out because when they put the trim grommets back in they chipped the paint, then pine needles and water collected there, and then the paint held rust. The bottom of the car is very clean. 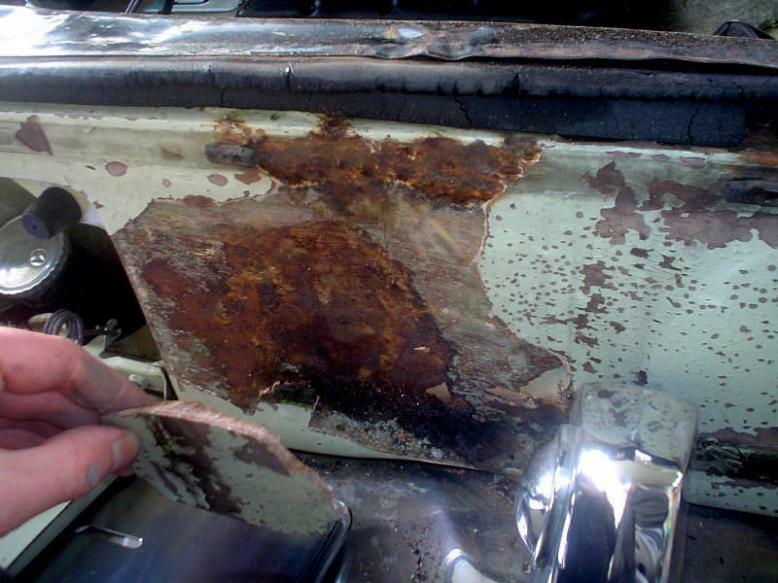 It only rusted from painting over rust and having old seals leaking. I would love to have the car sold and just be done with it, but it all depends on how much I could actually get for the complete car. I would trade partially for some tan W116 seats skins. There seem to be plenty of finny gassers out there with their standard gasser problems and great bodies. It could take years with a cluttered up garage/driveway to recover you money versus selling it outright. I wouldn't do it. Today I worked on the taillight area some more. I have the large holes patched with POR PowerMesh. Tomorrow I plan on using the RestoGrip and StraightLine filler to get it all smooth. Then I'll prime it and call it good. The chrome looks good on the bumpers, put masking tape on them to protect them before working your bondo. 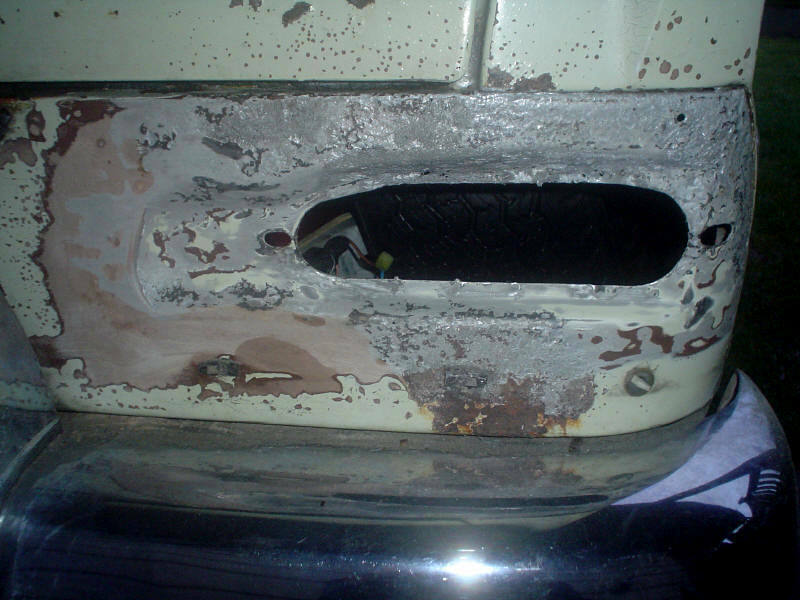 A bit of bondo wont hurt and you wont remember it's there anyway. The sills/rockers can be fixed easily but remember that material is very heavy and ordinary common panel steel is often too thin for patching. i cut good bits out of damaged cars for the sections to repair them. It's a major job to remove them entirely and not necessary normally.